Hi there welcome back to day two of the Home Decor Hop. I hope you had fun hopping with us yesterday. I hope you continue to hope through the weekend. I am also in another hop this weekend. 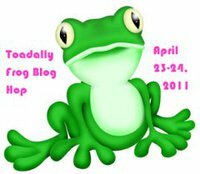 I'm in Toaddaly Frog Blog Hop. Now if you're here for the Home Decor Hop then CLICK HERE. Now for some fun Toadally Frog Hoppin' Fun!!! Who likes frogs??? I do .... I know my son does too. We have a huge one that hangs out in our yard. We couldn't tell you where he is most times, but when that lawn mower motor starts that frog comes out of hiding and is on our sidewalk by the house or up on the porch. We just let him set there while the lawn is taken care of then when the mower stops that little (huge) frog heads back to his house. I have some fun froggie stuff for you to see. The first froggie project is one that is being voted on this month over to One By One the Flamingo's Are Stealing My Sanity. I hope you like him. The sentiment on it is "You make me Hoppy" it's a stamp from Robyn's stamp set that I won a while back. I'm finding more things to use these funny lil puns on. I must start with some formal things if you've started with our Frog Hopping leader Karel high five to you!!!! I bet you have seen some great super froggie projects along the way. 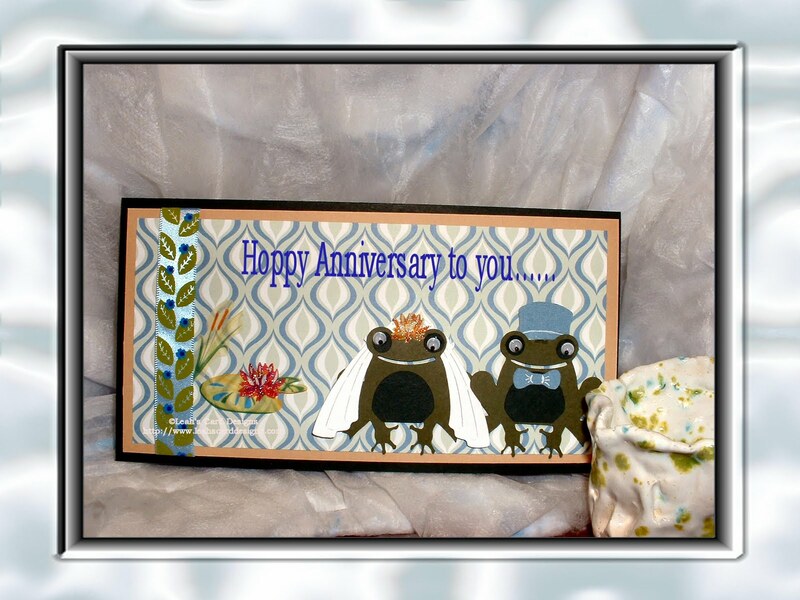 Now if you've hopped here from our dear friend Janice at Cricut Confessions you're on the right lily pad; welcome my froggie friend. Now on to the two projects I have for you today. I need to show them to you because the one that I have for tomorrow must be by itself. I think you'll agree when you see it and read about it. You'll have to definitely come back for that. I wouldn't want you to miss it. The first froggie is the one that is being voted on. The second one I did for a fun anniversary. I just couldn't resist it. Sorry to the one that receives it....LOL just kidding. I know they'll like it because they like frogs. The one being voted on with the sentiment "You make me HOPPY" was created in Cricut Design Studio. I love that program and my Gypsy. The only thing I don't like about my Gypsy is the smack I get just about every night right before I turn the lights out. Hmmm, maybe it's because I'm so tired and after about the 3rd or 4th hit I finally put it down and say ok, ok, ok...that's it for the night. LOL I wake early to finish whatever I was working on. Well, I've chatted long enough I'm going to let you hop on over to the next lily pad to our creative friend Deb at Tidbit's Place. Happy Hopping my friends!!!!! Enjoy the rest of the hop! Don't land wrong on the lily pad or you just might get wet....ok ....enough with the froggie jokes ... hop hop hop off with you ... have fun!!!! What fun cards, toooooo CUTE! Well your cards make me hoppy!! Very nice! LOL! Love it, you crack me up! Adorable! I love the cards! Cute cards! 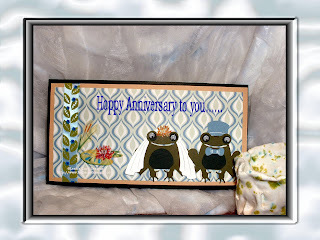 I love "Hoppy Anniversary!" So cute. Adorable cards. Love the frog couple. Froggy great Card!!! Have a blessed Easter Weekend. What a witty way you have. TFS your projects. So cute. 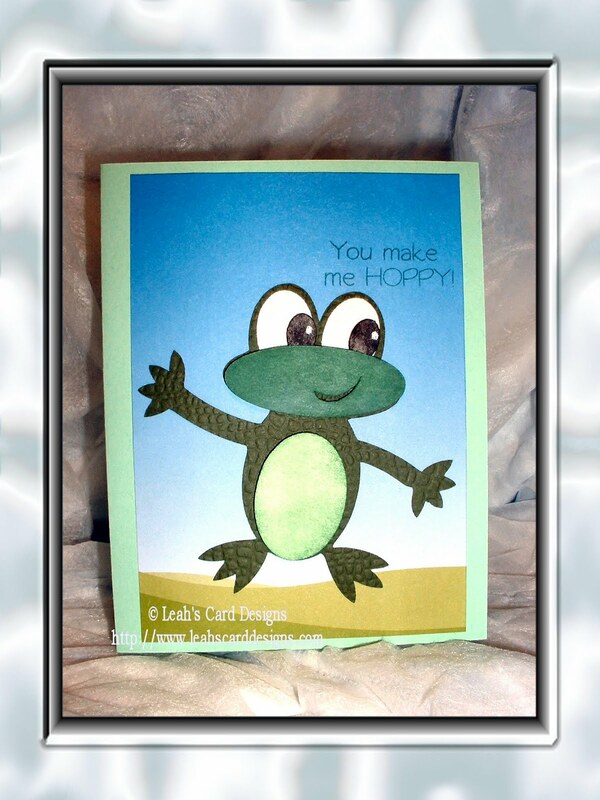 Love your froggy cards. Cute froggies. Thanks for sharing. Leah I really like that Anniversary card... it's so cute. Thanks for sharing with all of us. I love your cards, frogs are sooo adorable! I'm sorry if I didn't post yesterday! What a beautiful memory of your Aunt and your darling little boy. I also love your projects!